"... I find the value of her work, beyond her perfect technique, her mastery of the art form and the formal completeness of her pieces, lies in this secret way it speaks to us all." Andrea Graham is a multi media artist residing in rural Ontario, Canada. Andrea exhibits, teaches and lectures internationally and is recognized for her technical skill and innovation. 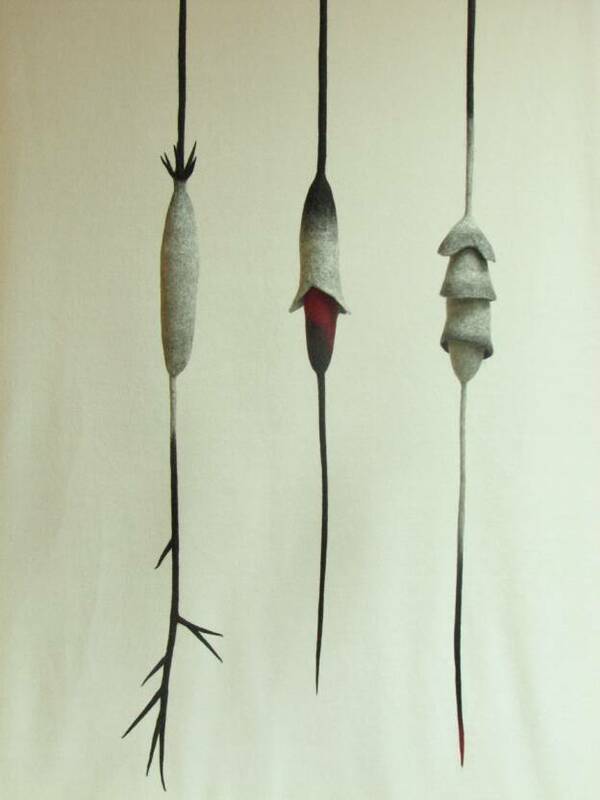 Andrea is a 2013 Niche Award Finalist as well as being named as one of the top influences in contemporary fibre art by Fiber Art Now magazine. Her work is included in the Sonny Kamm collection and three of her sculptures have recently been acquired by the Bronfman family for the Claridge Inc. corporate art collection. Her work has been shown in Museums in Canada, U.S.A., France and Italy and in many international exhibtions and galleries. She has received multiple grants for both projects and exhibtion from the Ontario Arts Council in 2009, 2010, 2011 and 2013. Most recently (2015) Andrea was awarded a creation and development grant as an established artist. In 2014, Andrea will have solo exhibitions in Vernona, Italy and at the Canadian Guild of Craft in Montreal. This follows solo exhibition "Materia Vitale" (2013) at the DHG Gallery in Prato, Italy Andrea's work was seen in a joint exhibition at the Mississippi Valley Textile Museum in Almonte, Ontario (Jan.-Mar, 2014) and a solo exhibit at the Modern Fuel Gallery in Kingston, Ontario (Mar. -April, 2014). in 2014 Andrea taught in Holland, Germany and Argentina. In 2015 she will teach in Holland, Italy and England. 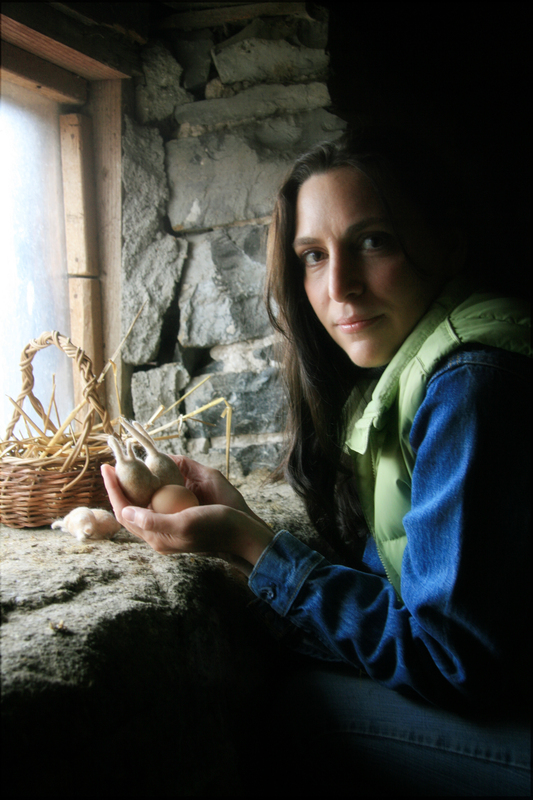 Andrea was Artist in Residence at Queen's University in 2011 and has taught workshops for the Ontario Crafts Council and for numerous guilds and conferences throughout North America. Andrea participated in the group show "Oh, Canada” (2011) at Wayne State University in Detroit with her installation “Ghost Trees” curated by Sandra Dupret. This piece was then shown in “Through Thick and Thistle”, at the Modern Fuel Gallery, juried by Rhiannon Vogl, assistant curator for the National Gallery of Canada. Her work was also included in "FiberArt International 2010", and the International exhibit, “The Climate is Changing”, which toured Europe. Andrea’s work was included in the nationally travelled invitational show, “Elemental Connections: an Exhibition of Sustainable Craft” (2007-2009) also, “Masterworks East”, the OCC exhibit “Award Winners, 2009”, Her work also appeared in “Convergence 2009” at the Tom Thomson Gallery in Owen Sound where she received the Lincoln Croft Memorial Award. 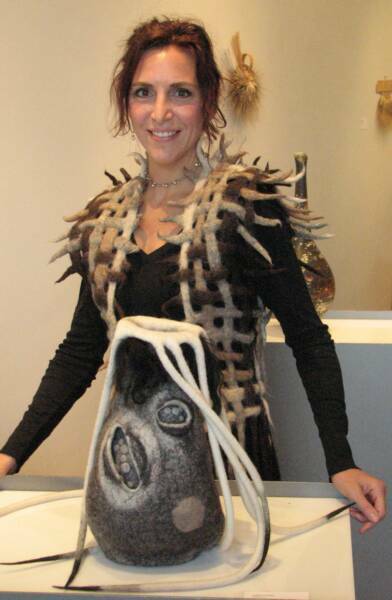 Andrea’s work has been featured in many publications around the world, most recently: Russian magazine, "Felt Fashion", "Fiber Art Now", European “Textile Forum” magazine, German magazine “Filzt Und zuge Naht”, “1000 Artisan Textiles”, and “500 Felt Objects”, "Uniquely Felt", and many others. Andrea looks forward to the continued application of ancient techniques in contemporary work by combining handmade felt and unexpected materials in her organic three dimensional form and installation. Using both traditional nomadic and modern feltmaking techniques, wool fibre is magically transformed. In my current work, ambiguous sculptures express the paradox of living organisms: strength and fragility, persistence and surrender, liberation and containment. Open wounds and haphazard sutures serve as metaphor for the victimization of our environment as a result of our consumer culture. In the cycle of growth and decay, resilience is silently expressed. Curious sculptural form awakens a sense of wonder in the potential of the smallest seed and organism for either success or failure. It is this precarious state and the need to nurture and protect that I wish the viewer to explore as they consider revisiting their consumer practices. The use of wool and the alchemy of feltmaking in the execution of my art allow me to use a sustainable material which is both consistent with my message and the organic nature of my work.